The Regional Council of Guipuzcoa presented the Gipuzkoa 4.0 Advanced Manufacturing Network on 6th last in Azkoitia, A pioneer collaborative programme in the Basque Country whose aim is to help SMEs take the technological leap to Industry 4.0. Around 400 companies could benefit from this novel initiative, in which different companies and leading technological centres will show the rest of the industrial fabric the potential and applications of Industry 4.0.
s a first initiative of this network, leading companies and the most cutting-edge technological centres of the territory will share their achievements, showing their advanced technology to the SMEs of Guipuzcoa. 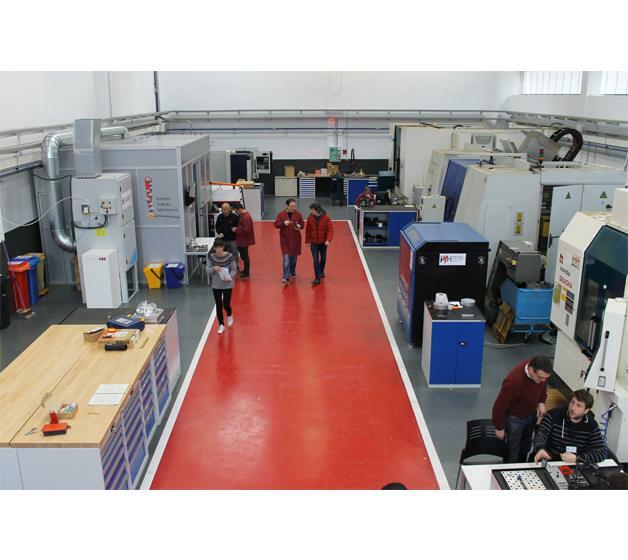 By means of guided tours to the facilities, introductory and practical training, as well as customised activities at the companies later on – oriented training, diagnosis, specific advice, tests or prototypes – the aim is to provide companies with a better knowledge of the concepts and experiences of advanced manufacturing. This is a pioneer initiative in Europe, with one similar occurrence that exists in Germany, the Plattform Industrie 4.0. In addition to the IMH in additive manufacturing, it includes the following cases: in autonomous manufacturing unit, Ibarmia; in monitoring and connection of all machines and equipment, Goimek (Danobat Group); in cybersafe manufacturing, ITS (Egile group); in laser technology, IK4-Lortek / IK4-Tekniker; in flexible robotics and visual computing, Tecnalia / IK4-Vicomtech;in data analytics, Tecnalia.